2017 was an incredible year for UNIGLOBE Travel Designers. 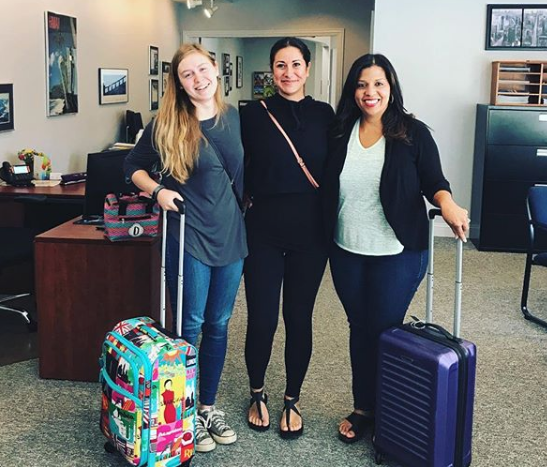 We welcomed a new office to the UNIGLOBE Travel Designer’s family, located in Atlanta, GA as well as new team members coast to coast. We’re grateful for our clients who have been with us for the past 36 years of growth as well as the new clients we’ve developed relationships with this year. • Elizabeth kicked off the year sharing her travel predictions with the Columbus Dispatch. 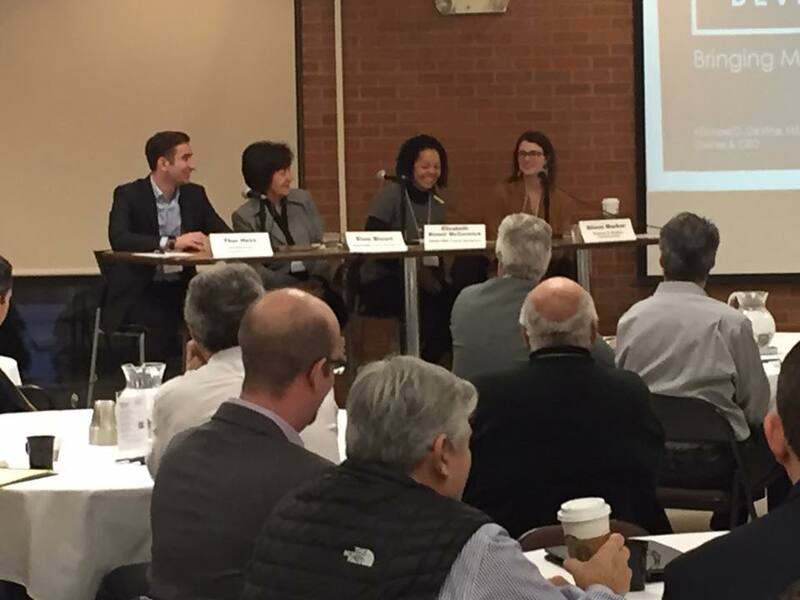 • Elizabeth Blount McCormick and her mother, and company founder, Elsie Blount were joined on a panel by Alison Marker from Thomas & Marker Construction and Thor Hess from Southeastern Equipment Co.to discuss bringing millennials into leadership roles. • The Columbus Chamber of Commerce helped us share our story highlighting President Elizabeth Blount McCormick and UNIGLOBE Travel Designers in their Elevate 2017 video. • UNIGLOBE Travel Designers’ General Manager, Lenny, and Marketing & Technology Manager, Matt, attended the Concur Fusion Summit in Chicago, IL. 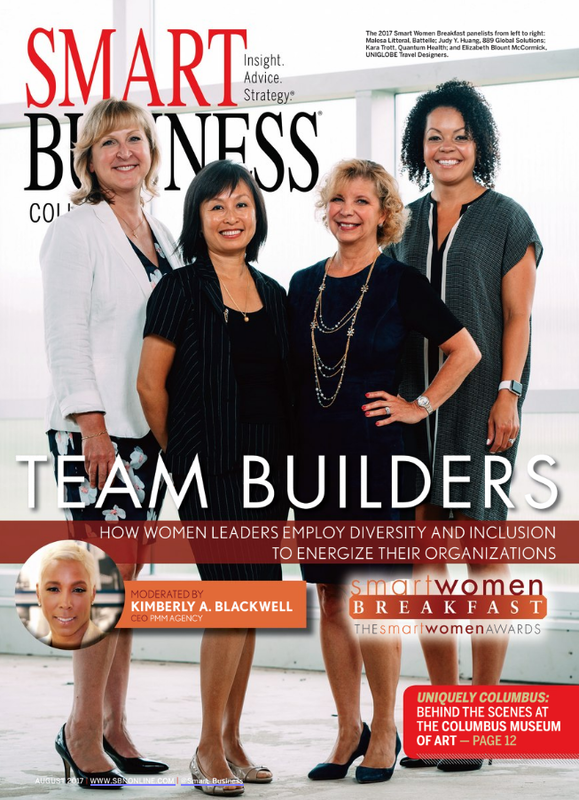 • UNIGLOBE Travel Designers' President, Elizabeth Blount McCormick, is featured in the cover story of Smart Business Columbus' August 2017 issue. • UNIGLOBE Travel Designers' president, Elizabeth Blount McCormick, was the feature on a blog about Women Supporting Women by Steph Greegor. • Matt, Marketing & Technology Manager, and Ali Iovino, Project Manager, attended a GPO Summit in Indianapolis, IN. 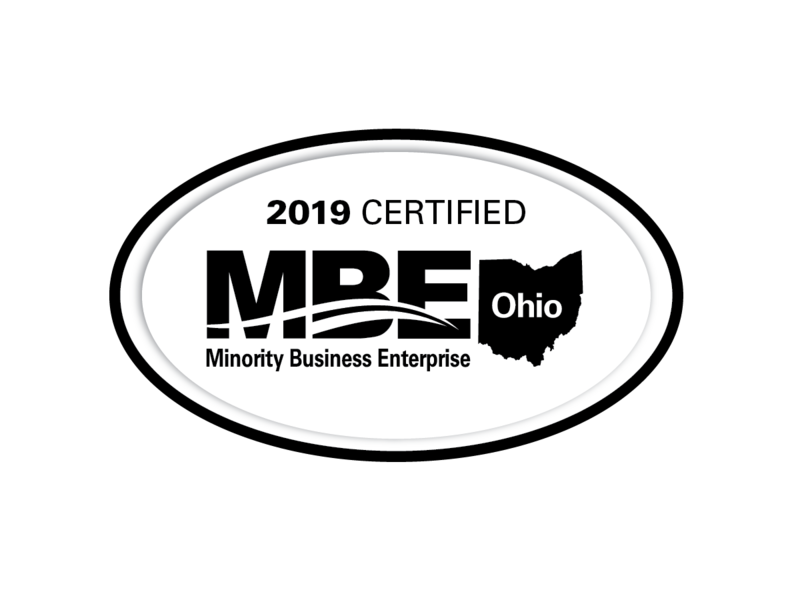 • Elizabeth Blount McCormick was a finalist for Columbus CEO’s CEO of the Year recognition for 2017. • Three of our Leisure Specialists attended the Delta Vacations Summit in Atlanta, GA.
• Elizabeth Blount McCormick shared more insight with the Columbus Dispatch about overlooked destinations. 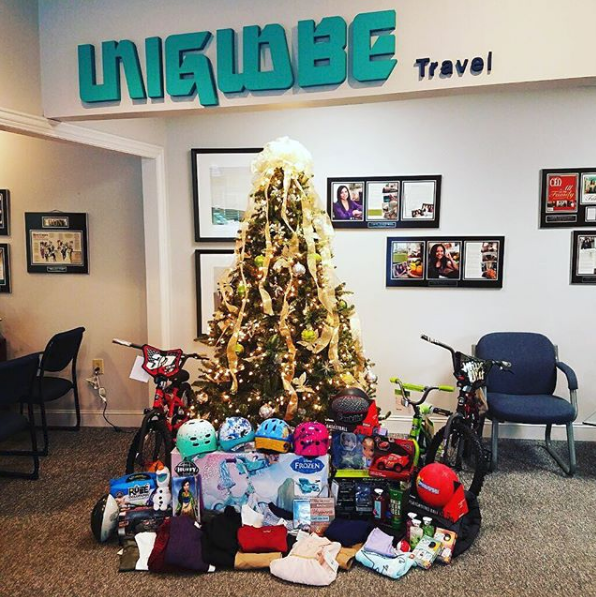 • The UNIGLOBE Travel Designers team came together to Adopt-A-Family through the Salvation Army’s program for another holiday season. 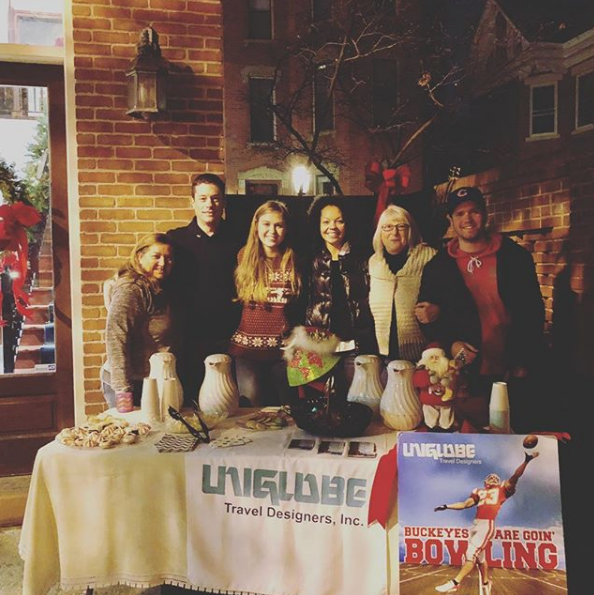 • The team had fun participating in the German Village Society’s annual Village Lights. • UNIGLOBE Travel Designers was awarded Bronze Member status for sales excellence by Mark Travel. • UNIGLOBE Travel Designers was awarded Chairman’s Circle for 2017 by UNIGLOBE Travel International. • In 2017 we added new clients in Arizona, Arkansas, California, Connecticut, Florida, Illinois, Indiana, Iowa, Massachusetts, Michigan, New Jersey, North Carolina, Ohio, Texas, Utah, Washington, and Wyoming. Thank you for a wonderful 2017. We're excited to see what 2018 has to offer!